 Rushkoff, a New York-based journalist, goes west to Berkeley for a look inside Cyberia--the emerging countercultural terrain of computer hackers, ``smart'' drugs, house music, and a range of alternate ``cyberpunk'' lifestyles and anarchic philosophies. This largely sympathetic report from the latest frontier will undoubtedly strike many older readers as outrageous, but others (especially those with clear memories of the 60's) may find much of the rhetoric familiar, even nostalgic. In fact, many of the ingredients hark back to the Berkeley scene of nearly three decades ago: the text is full of references to acid trips, pagan rituals, and Grateful Dead concerts, and even Timothy Leary puts in an appearance at a virtual reality demonstration. The most significant new element in the mix is the computer-- especially when used to connect with other computer users around the world. Leary advised dropouts to ``find the others,'' and computer networks like the WELL have made it easier than ever for Cyberians to locate those of similar beliefs. Rushkoff interviews authors, drug dealers, musicians, and hackers; watches two electronic outlaws stealing ATM codes; joins a role-playing game in which he acts the part of a thief; and talks to eco-terrorists and cultists about their beliefs. While some readers might wish the author had kept his nonsense detector more finely tuned, much of the book's value lies in Rushkoff's ability to resist patronizing his subjects. 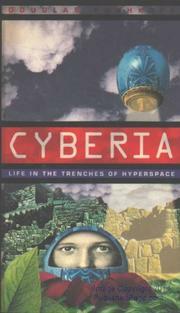 A provocative, wide-ranging survey of the current state of the interface between the longings of youth and the wild potentials of computer technology.